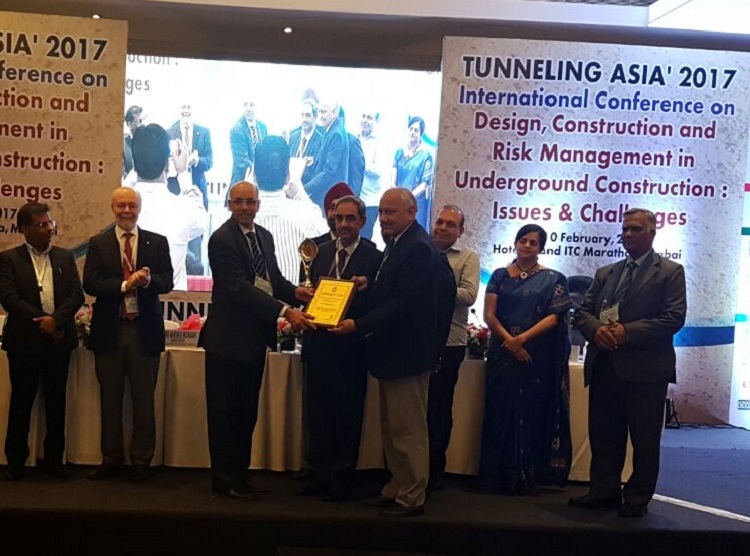 Himachal Pradesh Power Corporation Ltd. has been conferred with “TAI Environmental Initiative of the Year Award” for effective implementation of environmental initiatives in tunneling and underground space use in Sainj Hydroelectric Project (100 MW) using innovative techniques and smart solutions. The award was presented by Tarcisio B. Celestino, President, International and Underground Space Association to D. K. Sharma, Managing Director, HPPCL at Mumbai. 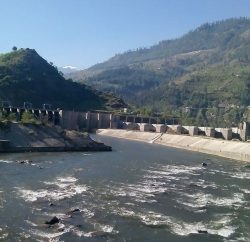 Sainj Hydroelectric project comprises Diversion Barrage, Desanding Chambers, Head Race Tunnel, Surge Shaft, Pressure Shaft and underground Power House. About 80 percent of the project components are located underground which has minimized impact on the Environment and Ecology in the Project area. The underground space in the Power House cavern has also been minimized for its optimal utilization. HPPCL has ensured minimal environmental damage by systematic and scientific dumping of muck, treatment of underground water during construction before releasing it back into the river, controlling air & noise pollution and water quality of river Sainj. HPPCL has already commissioned its first project; Kashang Hydro Electric Project (130 MW). 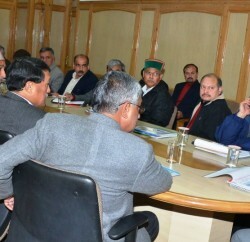 Sainj Hydroelectric Project (100 MW) is also slated for commissioning during this Financial Year. 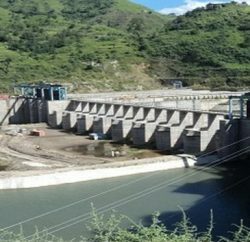 Apart from this, the works of Sawra Kuddu Hydroelectric Project (111 MW) and Shongtong Karchham Hydroelectric Project (450 MW) are going on smoothly. In this regard, a major milestone of diverting the flow of river Satluj through Diversion Tunnel on left bank of Diversion Barrage of Shongtong-Karchham Hydroelectric Project has been achieved on 31st January, 2017.